You are the key to HPV cancer prevention. Get your child vaccinated at the recommended age of 11 or 12 to protect them from contracting HPV. Preteens and teens are learning how to make their own decisions for their life. It is important to enable them to make healthy decisions and choosing to be vaccinated against HPV and meningitis are two great decisions they can make! If you are a teen trying to find out more about the vaccines recommended for you, check out our immunization schedule and talk with your doctor about receiving the HPV and meningococcal vaccines. 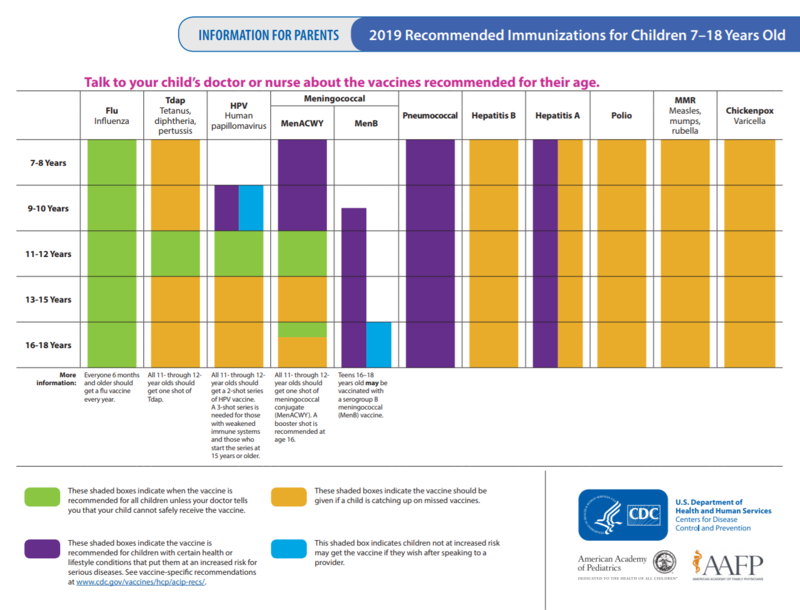 We also have information to help you understand why these vaccines are important to prevent disease (cool fact: the HPV vaccine prevents many types of cancers!). 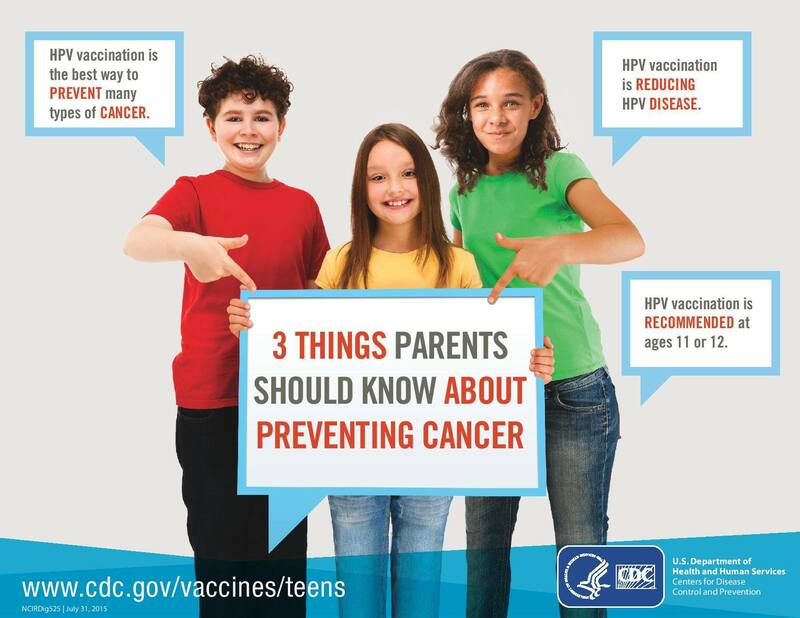 It's important that preteens (ages 11-12) are protected with these 3 vaccines: HPV, Tdap, and Meningitis. Click here for information every young adult should know about these live-saving vaccines.